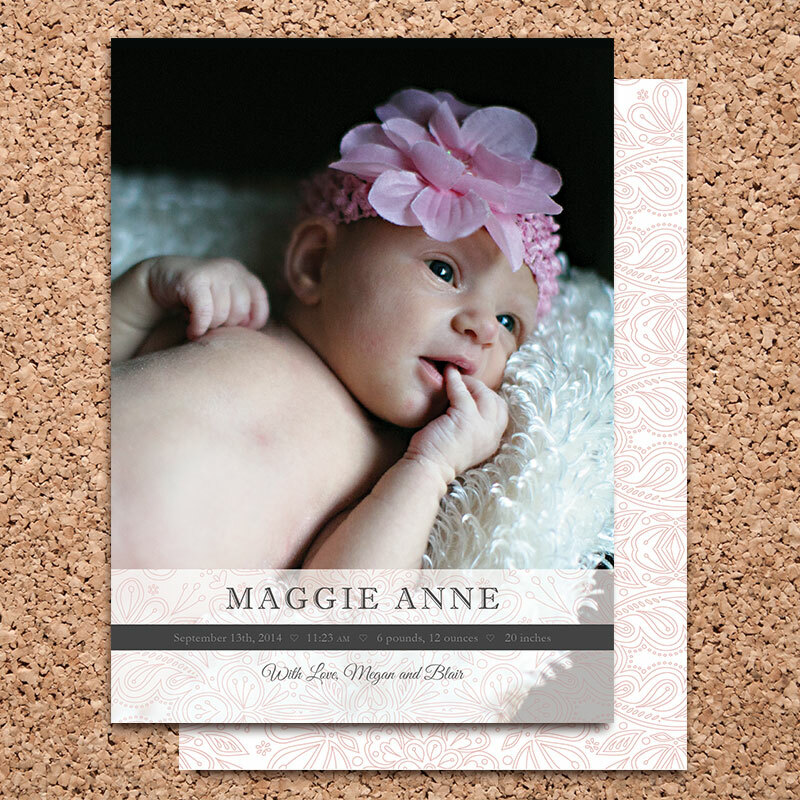 This birth announcement was designed for a client seeking a simple, elegant look. The paisley pattern featured on the bar was designed to match the pink of Maggie's little headband. It is repeated on the back of the birth announcements with a stronger opacity.